Amongst Spain’s Canary Islands, the island of Fuerteventura is one of the most beautiful islands to spend your holidays on. No matter what time of the year you choose to head down to this beautiful place, you are guaranteed to find enough and more things to keep you busy and entertained. Even though Fuerteventura is the second largest island in the Canary Islands, it is relatively untouched and has been named as a biosphere reserve by the UNESCO, in 2009. 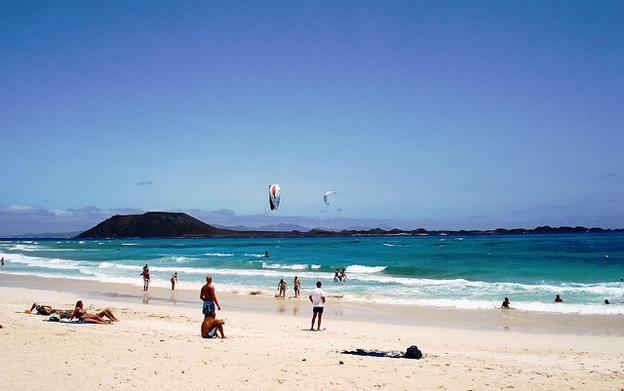 Fuerteventura holidays are full of sun, sand and a whole lot of local Spanish and Canary Island flavours. From the simple food and local cheese to the energetic bouts of Canarian Wrestling, everything has its own little place in Fueerteventura and Fuerteventura finds a little bit of itself in everything. When you visit an island, one thing you are guaranteed to find are beaches. Fuerteventura doesn’t disappoint and its selection of beaches makes it one of the most popular tourist destinations for not just the Canary Islands, but also in Spain. There aren’t many better ways to see this fantastic island than to take a wonderful tour of the place for an entire day. The tour guides on this trip speak excellent English and if you are looking for something that can give you a taste of the entire island, then this is the best way to see everything and as well as you can. Gather around Corralejo at a fixed time and you will be taken around in an air-conditioned coach for the rest of the day. When you are already on an island, the best thing to get a little bit of privacy, and see a bit of the surrounding area, is to head on down to Lobos Island, which is another trip that will take the best part of your day, but is worth every minute. 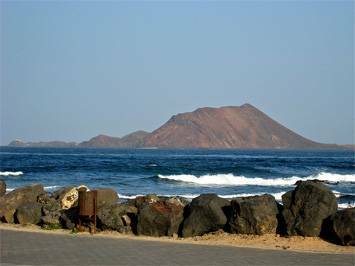 The island lies towards the northern sides of Fuerteventura and if you are looking to spend some time in the peace & calm of nature’s beauty, then this is the place to be. Fuerteventura has something for everyone and if you are going down there with your family, then a trip to the zoo is something that everyone will love. There are camel safaris and over 200 species of birds to go along with the hippos and the giraffes. And if you get tired of looking at all the animals, rest your eyes in the wonderful beauty of the botanical gardens that form a part of the entire zoo-experience. Finally, there’s the dolphin safari that completely steals the show. As you head out onto the sea, in your boats, you suddenly find yourself surrounded by dolphins that allow you to travel along these magical creatures. Enjoy your meals on board, with a fantastic taste of local food and wine but make sure that all this is after you’ve enjoyed your swim with those dolphins in your snorkelling gear (included in the cost). Not many people think of Fuerteventura when they think of Spain or the Canary Islands, which is probably one of the reasons why you will find it more to your taste. If you are looking for glitz and glamour, then this island has the exclusivity you are looking for. If you are looking for a cheap place to spend your holidays without sacrificing on the fun-bits, then this is the place to be! Basically, if you are planning your holiday for any place other than this fantastic island paradise, you need a check-up! Having been born to a Spanish mother and an English father, Sophia spent a lot of her time in her mother’s home, in Fuerteventura. She loved travelling down there in the summers, called her Fuerteventura holidays “home-comings”. Eventually, Sophia managed to find a way to settle down in the island, and runs her own scuba-diving gear store near its beaches.